Dr. Helen Caldicott (right), an anti-nuclear activist and expert on radioactive waste, discusses how exposure to radioactive contamination could have impacted Hazelwood resident Mary Oscko's (left) lung cancer, alongside Just Moms STL's Karen Nickel. An internationally recognized anti-nuclear activist and Australian physician said the radioactive contamination in north St. Louis County is "worse than most places" she's investigated. Dr. Helen Caldicott toured several local sites Friday afternoon, including: the recently remediated St. Cin Park in Hazelwood; West Lake Landfill Superfund site, which contains radioactive nuclear waste dating back to 1940s and '50s; and the Bridgeton Landfill, whose underground smoldering has caused concern due its proximity to the waste in West Lake. Byron DeLear, an executive for a clean-energy company, helped take Caldicott on the tour. "This is truly an historic opportunity for this community to have the expertise of Helen to show up and really start to investigate what’s going on here," he said. Caldicott, founding president of Physicians for Social Responsibility, whose umbrella parent organization International Physicians for the Prevention of Nuclear War won the Nobel Peace Prize, called the situation "obscene." Dr. Helen Caldicott founded the Women's Action for Nuclear Disarmament in the United States in 1980. "I'm a pediatrician. Children are extremely sensitive to the toxic and carcinogenic effects of radiation," she said. "I can’t for the life of me understand why the government …hasn’t removed this material, especially if there’s a fire next to this radioactive waste dump." "I really can’t get my mind around this as a physician; I don’t know what the government thinks it's doing," she added. "It just breaks my heart." However, a federal report showed there was no off-site human health risk from the radioactive waste at West Lake Landfill, which is managed by the U.S. Environmental Protection Agency. Plans are underway to build a firebreak between the waste and the underground smoldering at Bridgeton Landfill. That fire could produce some potentially toxic gases, and air sampling done by the company which owns it and the Missouri Department of Natural Resources, has occasionally shown some unsafe concentrations of compounds. Residents, however, have complained about the odors and symptoms such as nosebleeds, headaches and aggravated asthma; the state Department of Health and Human Services has recommended "sensitive individuals" stay indoors when odors are strong. Caldicott also met with a few residents living in the affected neighborhoods, including Mary Oscko. She has lived in a home across the street from St. Cin Park, bordered by the contaminated Coldwater Creek, for 30 years. The Army Corps of Engineer's Formerly Utilized Sites Remedial Action Program (FUSRAP) recently completed remediating low-level radioactive waste in St. Cin Park in Hazelwood. 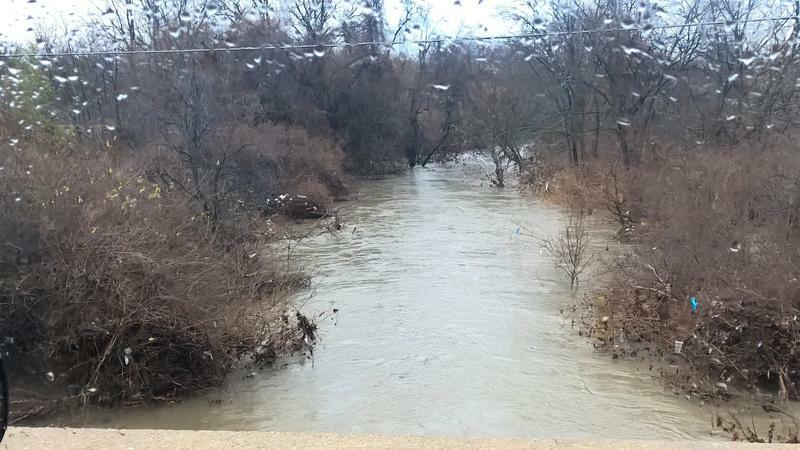 The Army Corps of Engineers is currently testing for and cleaning up what it calls low-level radioactive contamination at several properties around the contaminated Coldwater Creek; that includes the remediation it completed recently at St. Cin Park. Additionally, the Agency for Toxic Substances and Disease Registry is conducting a health assessment of residents living along the creek. Meanwhile, a Facebook group started by current and former residents around the creek has collected thousands of illness reports showing hundreds of cases of cancer. Oscko, who said she has been vocal about the potential health impacts of exposure to contamination, has stage four lung cancer, even though she said she has never smoked. She said she welcomed Caldicott's expertise. "We’ve talked about the scientific side of it, and the environmental side of it; now we have a scientist who is a doctor who can talk to us about the health side of it and the human side of it," she said. "We’re not red dots on a map. We’re faces and we’re human beings. We have lives, we have children and grandchildren, we count." Caldicott said Oscko's case is an example of how exposure to radioactive material, like radon gas, impacts health. "When you inhale radon, it decays into lead 210 and stays there in the bronchus irradiating just a small volume of cells with alpha radiation, very carcinogenic," she said. "Radon is one of the most potent causes of lung cancer." Caldicott said she will discuss other elements along the decay chain of uranium and "where they go in the body and how they cause cancer" during a symposium at St. Louis Community College-Wildwood Saturday at 7 p.m. Caldicott will be the keynote speaker on the impacts of nuclear weapons development, and will be joined by a panel of other experts. The presentation will also be live-streamed. Dawn Chapman of Just Moms STL (pointing) shows Dr. Helen Caldicott (left) an art and photography exhibit on advocacy to clean up West Lake Landfill, while Karen Nickel (right) and Byron DeLear look on. Dawn Chapman of Just Moms STL, a group of residents advocating for the clean-up of West Lake Landfill, said she thinks Caldicott's talk will "be very telling." "She's going to basically explain to people how they got sick from this waste," she said. "They already know they’re sick from it, but she’s going to go and detail how. I think that's going to be very heartbreaking." She also said it may move people to action to get their elected leaders involved. Recently, Chapman and her organization went to Washington, D.C., to try to meet with the head of the EPA and met with members of Missouri's Congressional delegation. Recently, a bill to put the Army Corps rather than the EPA in charge of West Lake Landfill passed through the Senate. "Her reaction - I think people are going to wonder why aren’t the local politicians reacting like that? Are they desensitized?" she said. 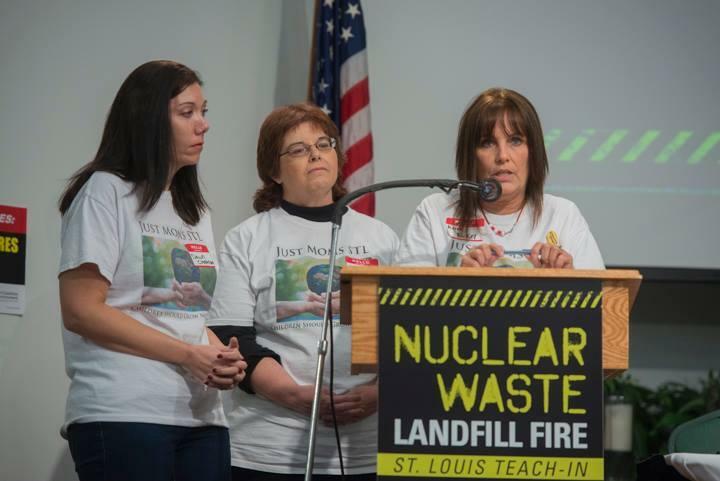 An activist group of St. Louis area moms concerned about underground smoldering at the Bridgeton Landfill plans to picket outside the Environmental Protection Agency's Washington, D.C. offices on Wednesday. In a move that environmental groups say they are “excited” and “pleasantly surprised” about, the Environmental Protection Agency said it plans to create a specific unit to study groundwater contamination at the West Lake Landfill Superfund site. At a meeting of the West Lake/Bridgeton Landfill Community Advisory Group Monday night, the EPA also said it would conduct more testing to see if any radiological sediment had moved off the site during widespread flooding last year. 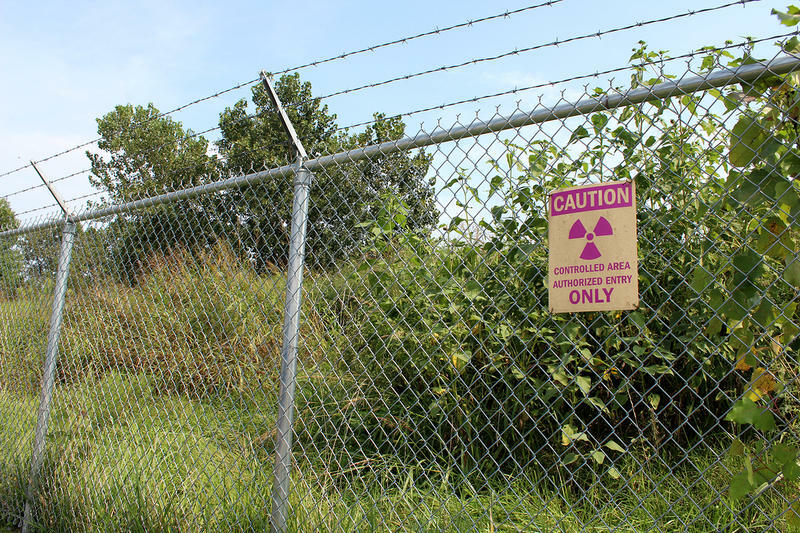 Residents near the West Lake landfill who have long sought a change in federal oversight are closer to getting part of their wish granted, with late Tuesday’s Senate passage of a bill that would transfer authority of the radioactive site to the U.S. Army Corps of Engineers. The Senate action came as a result of a bipartisan push by U.S. Sens. Roy Blunt, R-Mo., and Claire McCaskill, D-Mo. The St. Louis County health department said a health survey of residents living near the West Lake and Bridgeton landfills will begin in about two weeks, a year after its initial announcement.